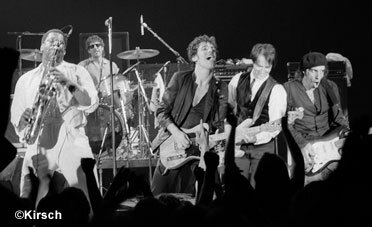 BlindedByTheLight.com, an online museum that features the largest Bruce Springsteen exhibit ever seen, has just launched in commemoration of the 30th anniversary release-date of “Born In The USA”– the most successful recording of Bruce’s career. With over 310 rare artifacts collected from all over the world, the museum celebrates the life and music of one of rock music’s greatest legends. 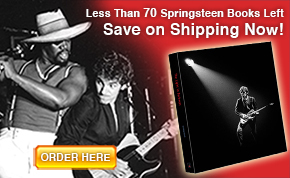 Spanning more than half-century, these items have been verified by multiple credible sources and experts — including those who have known and/or worked with Bruce first-hand. BlindedByTheLight.com ensures that each item is 100% authentic: proof-positive of this is the fact that several of the items in the collection have even been loaned to the Rock ‘n Roll Hall of Fame in Cleveland. His 8th–grade report card from St. Rose of Lima Catholic School (with a surprisingly low mark in music!). The “All-Access” monthly subscription will also allow fans to join customized chat rooms and place classified ads on a “Bruce-Exchange”. Each month at least 30-50 new items will be added to the museum. Anyone with an all access subscription will automatically be entered into a drawing to win an artifact whose value is at least $10,000. ULTIMATELY, BRUCE’S 1957 CHEVY BEL AIR CONVERTIBLE WILL BE OFFERED AS A CONTEST PRIZE. BlindedByTheLight.com was founded by Michael Crane, who has been an ardent fan of Bruce’s since he was seven years old. 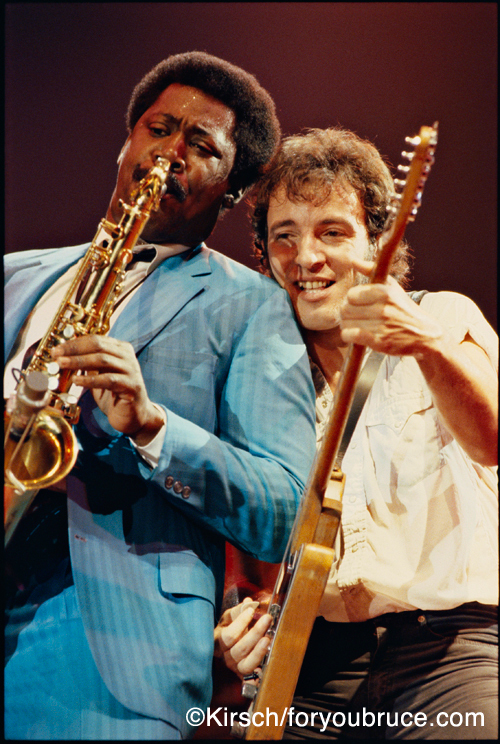 Crane, who is a recognized Bruce Springsteen historian (contributing to exhibits in both The Rock and Roll Hall of Fame in Cleveland, Ohio and the Rock Annex in New York City), created the site as a “one-stop shop” for all that is best about Bruce. Created by a fan for fans, it grants them the unique opportunity of having a totally intimate viewing experience with the quintessential rock legend of our time from the convenience of a computer, tablet or Smartphone. winner of a brand new signed copy of the book For You is Italo de Cesero, from Igne, Veneto, Italy. Congratulations! Thanks again, and look for another For You book raffle in September, 2014. 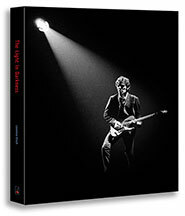 The Light in Darkness limited edition Bruce Springsteen book. In support of the Montreal General Hospital’s Spring 2014 fundraising campaign, Lawrence Kirsch, publisher of “For You, Original Stories and Photographs by Bruce Springsteen’s Legendary Fans” and “The Light in Darkness,” is holding a raffle with a chance to win a brand new signed copy of “For You,” which has been sold out since December 2008. The generosity of donors, volunteers and auxiliaries has made the MUHC what it is today…these precious funds are used for the benefit of current and future patients at the MGH. This year we are collecting funds to benefit the MGH Emergency/Trauma Department. To help raise funds we are raffling off a brand new signed copy (by the publisher) of For You: Original Stories and Photographs by Bruce Springsteen’s LegendaryFans. Each $10 ticket you purchase gives you one chance to win and a $15 ticket gives you three chances to win the book. The contest is open to everyone and tickets can be bought from April 24 – May 9, 2014. Tickets can be purchased at theLightinDarkness.com and Foryoubruce.com, where the winner will be announced May 14, 2014. Enter to Win Sold Out Bruce Springsteen Book “For You”! 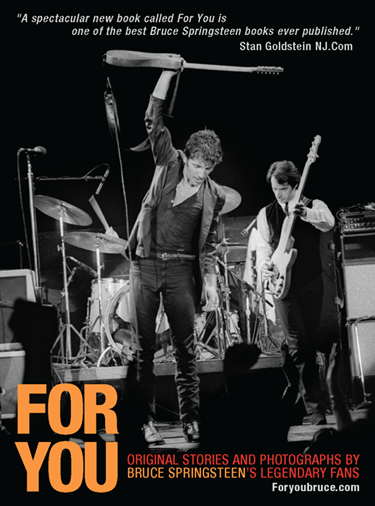 You can help the fund raising efforts for the 2014 campaign by participating in the raffle for a copy of For You. All monies collected will be donated to the Montreal General Hospital.